Doesn’t time fly, who would have thought, we would be writing up our month again so quickly? Have a look on our Cymru Times section for a round up of April’s news. Have you reserved your place yet? Our Blog page – The Cymru Times is now available to read. Please click the link above or select from the main menu to keep up to date with the latest news and happenings within Cymru Paranormal. Cymru Paranormal has started the year at full speed and it doesn’t look set to slow down anytime soon. 16 members joined us at Llanthony Secunda Manor for our launch weekend, where we were fortunate to carry out a number of investigations and take time to embrace this 12th century manor house in all its glory. Our Chair welcomed everyone to the group and shared her vision for the future of the group and the many plans that are in place. We have also concluded a private investigation, where Cymru Paranormal were granted exclusive access to investigate reports of paranormal activity. The investigation has concluded however, the team are now researching and collating a detailed report for our client. We have another investigation shortly, and again we have signed a non disclosure agreement. 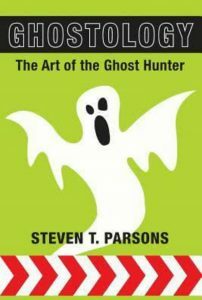 However, we have some outstanding member events coming up and our ‘Ghostology’ Study weekend in May presented by Steve Parsons. The spaces are starting to sell, so please do consider booking your place ASAP, the weekend is open to everyone. Drop us an email on enquiries@cymruparanormal.com for more information about membership or Ghostology.